A personal note about myself is I love when music can fit a theme or story. Blacktop Mojo’s album entitled I Am, is an album that makes me think of a specific theme. Western Outlaws/Cowboy’s. You are probably thinking wha?? How did you associate these two? Well, let me explain. Usually a western outlaw or cowboy story has things involved such as: Being a lone wolf, gunslinging battles, Love gained and lost. Blacktop Mojo put many of these things into perspective for me as I imagined how this would relate to an outlaw or cowboy. This album tackles themes such as payback, love lost and shooting Johnny Red [It’s a track on the album…]. I Am features 10 spectacular tracks of that Texas sound we all know and love. The recording of various instruments and tracking on this album is spot on and well thought out creating a smooth transition from the more heavy tracks to the softer ones. From theme to theme this album stays consistent and provides a thick unrelenting pace that doesn’t break even when going to lighter songs. Being from Palestine, Texas, Blacktop Mojo implements the southern rock/metal sound so well especially when you run into the Album-titled song I Am, Naturally being the bands pushing single and a good one at that. Let’s be objective for a second and consider what you, the reader may not like. Well, don’t expect a off the mainstream sound… These guys are very pop friendly I’d say and that works for them and actually puts in more appeal but that is me not being so objective. Texas? Yeah Texas has brought some of the more heavy and bluesy sounding bands that usually don’t follow the popular mold of their other United States contemporaries. Shifting gears to a more radio friendly song “Why” is a song of great emphasis on relationships of the more down then up sort but not wanting to give up the hope of being with that person. That is my interpretation at least. I guess you could associate the song to being lost in a daze hoping for the worst of life’s emotions to pass over in order to be able to breathe again. But again, that is my take on things. In terms of lyrics the album has a song for everyone from the gun carrying cowboy to the heartbroken man to the folk tales of a man being shot dead. 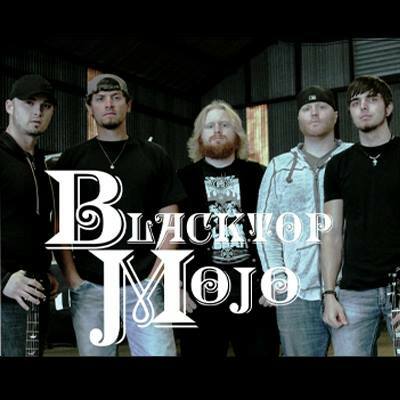 There is absolutely nothing lacking when it comes to how Blacktop Mojo wrote these songs you can definitely tell these songs have some soul in them! Instrumentation naturally is beautifully and appropriately placed. No solo is needless put on every track and the typical chorus isn’t found in each song, rather, it’s a different band every song and will drive home the point of creating a truly fun, heart driven musical effort. So back to opening statement. How does this fit a gunslinger theme? Consider tracks like “Trouble On The Rise” and “The River” featuring bold statements of staring the worst of life in the face and either laughing at it or collecting on a debt by crossing the river. Needless to say you will eventually think of all the westerns you know and figure out that every track on here resonates with each movie or show in some unique way. 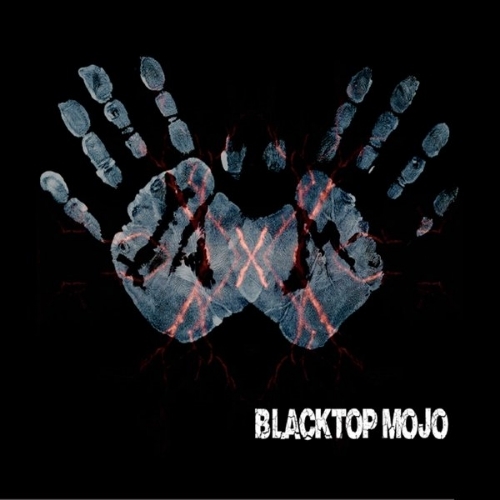 I Am by Blacktop Mojo is available now and is on my list of my countless favorites albums for the fact that the southern rock/metal sound is still a fantastic medium of rock genre in general. There’s my opinion but I wouldn’t take everything I say to motivate you to check them out. Simply find the experience yourself, because that’s the only way to live. Let’s all ramble on! Personal Favorite Tracks: Johnny Red, The River, Thrive, Trouble On The Rise, Back Home, I Will Ramble On. Album, Blacktop Mojo, Featured, I Am, James West, Review, Video. Bookmark.